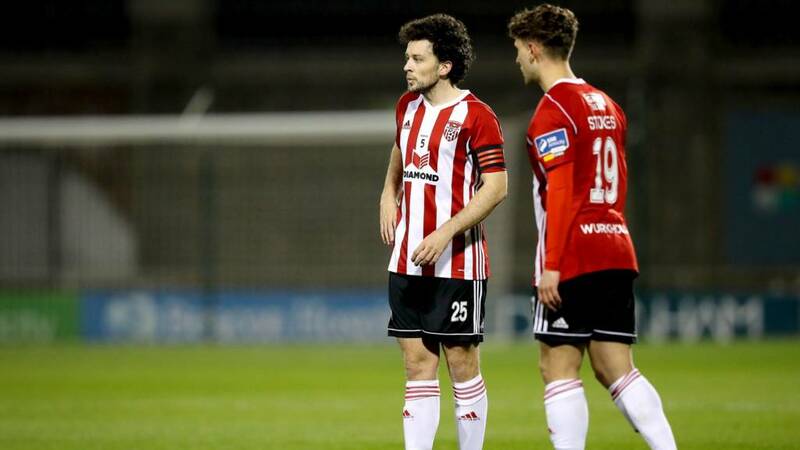 Bohemians produce further late pressure but Derry hold on for a merited point as they continue their good start to Declan Devine's second Candystripes' reign. James Finnerty levels for Bohemians on 75 minutes after a Keith Ward cross is deflected invitingly into his path. It's Finnerty's first goal for Bohs. Eoghan Stokes puts Derry ahead from a penalty on 52 minutes. Stokes won the penalty himself as he was fouled by Derek Pender following a great pass from Junior Ogedi-Uzokwe. Peter Cherrie keeps Derry ahead as he makes a tremendous save to push away a fierce Ali Reghba shot. Still no goals at half-time at Dalymount Park. Derry keeper Peter Cherrie needed to move smartly early on to tip a Keith Long free-kick away for a corner. Conor McDermott then tested Bohs keeper James Talbot with a long-range effort on 25 minutes. An even enough contest so far but Bohemians will have the wind advantage in the second half. Bohemians:Talbot, Pender (capt), Cornwall, Finnerty, Leahy, Allardice, Levingston, Wade-Slater, Mandrou, Ward, Reghba.